(a) Electronic Agreement. This Agreement is an electronic contract that sets out the legally binding terms of your use of the Website and your membership in the Service. This Agreement may be modified by MDBerry from time to time, and such modifications will be effective upon posting by MDBerry on the Website. This Agreement incorporates by reference MDBerry’s Notice of Privacy Practices and any notices regarding the Website or policies posted on the Website. By accessing the Website or becoming a Member, you accept this Agreement and agree to the terms, conditions and notices contained or referenced herein. (b) Format of Agreement. By accessing the Website or becoming a Member, you consent to have this Agreement provided to you in electronic form. You may request a non-electronic copy of this Agreement at any time. To receive a non-electronic copy of this Agreement, please send an e-mail to info@mdberry.com or a letter and self-addressed stamped envelope to: MDBerry Clinic, 1884 market Street , San Francisco, CA 94102. (c) Withdrawing Your Consent. You have the right at any time to withdraw your consent to have this Agreement provided to you in electronic form. To withdraw your consent, please send an email to info@mdberry.com or a letter and self-addressed stamped envelope to: MDBerry Clinic, 1884 market Street , San Francisco, CA 94102. Should you choose to withdraw your consent to have this Agreement provided to you in electronic form, we will discontinue your then-current username and password, and you will not have the right to use the Service unless, and until, we issue you a new username and password. Your withdrawal of consent will not affect the legal validity or enforceability of the Agreement provided to, and electronically signed by, you prior to the effective date of your withdrawal. By using the Website, you acknowledge and agree that (a) the Service is provided at the sole discretion of the Providers; (b) the Service is limited to diagnosis and treatment of those non-emergent medical condition appropriate for diagnosis and treatment using email, telephone and/or telecommunications; (c) accessing the Service from a state other than a state which MDBerry operates is prohibited, and you confirm that you are physically located in a state which MDBerry operates when you request to use the Service; (d) the Service is currently not reimbursable by Medicare, Medicaid or any other government health care program, and you agree not to use the Service for any services that are or might be reimbursable by such programs; (e) the Service may not be reimbursable by commercial insurers, managed care organizations, preferred provider organizations or other payors, but you may separately from MDBerry seek reimbursement from any such payor for the cost of use of the Service (f) you are at least 18 years of age, or accompanied by a parent or guardian who can give informed consent on your behalf if you are under the age of 18 at the time of the consultation; and (g) if you are seeking services on behalf of a child, dependent or other person for whose medical care you are responsible, your approval of the terms of this Use Agreement will bind such other person to these terms. The Website is for the personal use of individual Members only and may not be used in connection with any commercial endeavors. Organizations, companies, and/or businesses may not become Members and should not use the Service or the Website for any purpose. Illegal and/or unauthorized uses of the Website may be investigated, and appropriate legal action will be taken, including without limitation, civil, criminal, and injunctive action. Use of the Website is with the permission of MDBerry, which may be revoked at any time, for any reason, in MDBerry’s sole discretion. (a) General. MDBerry bills you through an online account (your “Billing Account”) for use of the Service. 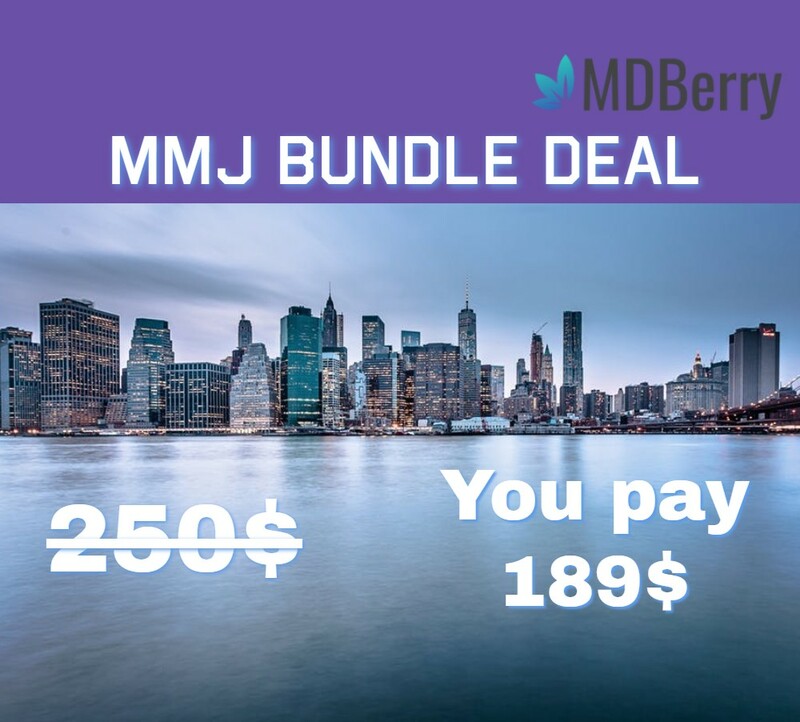 You agree to pay MDBerry all charges at the prices then in effect for any use of the Service by you or other persons (including your agents) using your Billing Account, and you authorize MDBerry to charge your chosen payment provider (your “Payment Method”) for the Service. You agree to make payment using that selected Payment Method. MDBerry reserves the right to correct any errors or mistakes that it makes even if it has already requested or received payment. (b) Current Information Required. You must provide current, complete and accurate information for your Billing Account. You must promptly update all information to keep your Billing Account current, complete and accurate (such as a change in billing address, credit card number, or credit card expiration date), and you must promptly notify MDBerry if your payment method is canceled (e.g., for loss or theft) or if you become aware of a potential breach of security, such as the unauthorized disclosure of your user name or password. (c) Payment Method. The terms of your payment will be based on your Payment Method and may be determined by agreements between you and the financial institution, credit card issuer or other provider of your chosen Payment Method (the “Payment Method Provider”). If MDBerry does not receive payment from your Payment Method Provider, you agree to pay all amounts due on your Billing Account upon demand. You are responsible for maintaining the confidentiality of the username and password that you designate during the registration process, and you are fully responsible for all activities that occur under your username and password. You agree to (a) immediately notify MDBerry of any unauthorized use of your username or password or any other breach of security related to your account, and (b) ensure that you exit from your account at the end of each session. MDBerry will not be liable for any loss or damage arising from your failure to comply with this provision. You should use particular caution when accessing your account from a public or shared computer so that others are not able to view or record your password or other personal information. If you share your computer with others, you may wish to consider disabling any auto-sign in feature if you have linked your MDBerry account to any electronic mail service or other account. Spartacus Management Group, Inc. owns and retains all proprietary rights in the Website and the Service. The Website contains the copyrighted material, trademarks, and other proprietary information of Companies and their licensors. Except for that information which is in the public domain or for which you have been given written permission, you may not copy, modify, publish, transmit, distribute, perform, display, or sell any such proprietary information. MDBerry reserves the right to investigate and terminate your membership if you have misused the Service, or behaved in a way which could be regarded as inappropriate or engaged in conduct that is unlawful or illegal. You will not express or imply that any statements you make are endorsed by MDBerry without our specific prior written consent. You will not post, distribute, remove or reproduce in any way any copyrighted material, trademarks, or other proprietary information without obtaining the prior consent of the owner of such proprietary rights. You will not “frame” or “mirror” any part of the Service or the Website, without MDBerry’s prior written authorization. You will not use meta tags or code or other devices containing any reference to MDBerry or the Service or the site in order to direct any person to any other web site for any purpose. You will not modify, adapt, sublicense, translate, sell, reverse engineer, decipher, decompile or otherwise disassemble any portion of the Service or the Website or any software used on or for the Service or cause or enable others to do so. By completing your registration through the Website, you give permission to the Providers to provide you with medical care. You may withdraw this consent at any time by no longer seeking care from MDBerry or by providing notice to MDBerry of such withdrawal. MDBerry has the right to refuse access to the Service to any person at any time, for any reason, or for no reason at all. MDBerry reserves the right at any time to modify or discontinue, temporarily or permanently, the Service (or any part thereof) with or without notice. You agree that MDBerry shall not be liable to you or to any third party for any modification, suspension or discontinuance of the Service. You may not post, distribute, or reproduce in any way any copyrighted material, trademarks, or other proprietary information without obtaining the prior written consent of the owner of such proprietary rights. The trade names, trademarks, service marks, logos, and slogans contained in the Website are the trade names, trademarks, service marks, logos and slogans of the Companies and/or their subsidiaries and affiliates (each a “Mark” and collectively the “Marks”). You are not authorized to use any Mark in any advertisement, publicity or in any other commercial manner without our prior written consent. The trade names, trademarks, service marks, logos and slogans contained in the Website that are not our Marks are the trade names, trademarks, service marks, logos and slogans of their respective owners. YOU AGREE THAT YOUR USE OF THE SERVICE IS AT YOUR OWN RISK. YOU ACKNOWLEDGE THAT THE SITE IS NOT INTENDED FOR USE IN A MEDICAL EMERGENCY OR IN CASE OF AN URGENT HEALTHCARE NEED, AND AGREE THAT YOU WILL SEEK CARE ELSEWHERE IN THE EVENT OF A MEDICAL EMERGENCY OR URGENT HEALTHCARE NEED. The Service is not a replacement for your primary care physician or annual office check-ups. The Service is not an online pharmacy, and Providers do not prescribe elective medications, narcotic pain relievers, or drugs listed as controlled substances by the U.S. Drug Enforcement Agency. You agree that any prescription obtained through the Service from a Provider will be used only for its intended use. MDBerry does not guarantee that a specific medication will be prescribed if requested. MDBerry is not responsible for any incorrect or inaccurate content posted on the Website or in connection with the Service, whether caused by users of the Website, Members or by any of the equipment or programming associated with or utilized in the Service. MDBerry is not responsible for the conduct, whether online or offline, of any user of the Website or Member of the Service. MDBerry assumes no responsibility for any error, omission, interruption, deletion, defect, delay in operation or transmission, communications line failure, theft or destruction or unauthorized access to, or alteration of, user or Member communications. MDBerry is not responsible for any problems or technical malfunction of any telephone network or lines, computer online systems, servers or providers, computer equipment, software, or failure of email on account of technical problems or traffic congestion on the Internet or at any Website or combination thereof. Under no circumstances will MDBerry or any of its affiliates, advertisers, promoters or distribution partners be responsible for any loss or damage, including personal injury or death, resulting from anyone’s use of the Website or the Service, any content posted on the Website or transmitted to Members, or any interactions between users of the Website, whether online or offline. The Website and the Service are provided “AS-IS” and MDBerry expressly disclaims any warranty of fitness for a particular purpose or non-infringement. MDBerry cannot guarantee and does not promise any specific results from use of the Website and/or the Service. In addition to the preceding paragraph and other provisions of this Agreement, any advice that may be posted on the Website is for informational purposes only and is not intended to replace or substitute for any professional financial, medical, legal, or other advice. MDBerry makes no representations or warranties and expressly disclaims any and all liability concerning any treatment, action by, or effect on any person following the information offered or provided within or through the Website. The Website or Service or third parties may provide links to websites operated by third parties. These links are provided solely for convenience and reference purposes only. The inclusion of any such link does not imply that we endorse the content of any web site to which the Website provides a link, nor are we liable for your reliance on or use of any information or materials contained in them. You may be asked to provide feedback on your MDBerry experience. This feedback is always optional and your choice. This feedback may be hosted and stored at a third party site. You agree to not provide any personally identifiable information when providing feedback. To the extent permitted by law, in no event will MDBerry be liable to you or any third person for any indirect, consequential, exemplary, incidental, special or punitive damages arising from your use of the Website or the Service. Notwithstanding anything to the contrary contained herein, MDBerry’s liability to you for any cause whatsoever, and regardless of the form of the action, will at all times be limited to the amount paid, if any, by you to MDBerry for the Service during the term of membership. You agree to indemnify and hold MDBerry, its subsidiaries, affiliates, officers, agents, and other partners and employees, harmless from any loss, liability, claim, or demand, including reasonable attorney’s fees, made by any third party due to or arising out of (a) your use of the Website or the Service in violation of this Agreement, (b) your failure to comply with applicable laws and regulations; and/or (c) your breach of this Agreement and/or any breach of your representations and warranties set forth above. (b) You understand and agree that this agreement to arbitrate binds you and anyone else who may have a claim arising out of or related to all treatment or services provided by MDBerry or physicians employed or engaged by MDBerry, including a spouse or heirs and any children, whether born or unborn at the time of the occurrence giving rise to any claim. This includes, but is not limited to, all claims for monetary damages exceeding the jurisdictional limit of the small claims court, including, without limitation, suits for loss of consortium, wrongful death, emotional distress or punitive damages. You further understand and agree that if you sign this Agreement on behalf of some other person for whom you have responsibility, then, in addition to myself, such person(s) will also be bound by this agreement to arbitrate, along with anyone else who may have a claim arising out of the treatment or services rendered to that person. You also understand and agree that this agreement to arbitrate relates to claims against MDBerry or physicians employed or engaged by MDBerry and any consenting substitute physician, as well as the physician’s partners, associates, association, corporation or partnership, and the employees, agents, and estates of any of them. You also hereby consent to the intervention or joinder in the arbitration proceeding of all parties relevant to a full and complete settlement of any dispute arbitrated under this Agreement, as set forth in the Medical Arbitration Rules of the California Medical Associations and the California Hospital Associations (the “Rules”). (d) YOU UNDERSTAND THAT YOU DO NOT HAVE TO SIGN THIS AGREEMENT TO ARBITRATE IN ORDER TO RECEIVE THE SERVICES OF MDBerry OR ITS EMPLOYED OR ENGAGED PHYSICIANS, AND THAT IF YOU DO SIGN THIS AGREEMENT TO ARBITRATE AND CHANGE YOUR MIND WITHIN 30 DAYS OF TODAY, THEN YOU MAY CANCEL THIS AGREEMENT ARBITRATE BY GIVING WRITTEN NOTICE TO MDBerry WITHIN 30 DAYS OF THE DATE OF YOUR SIGNATURE BELOW STATING THAT YOU WANT TO WITHDRAW FROM THE ARBITRATION PROVISIONS OF THIS AGREEMENT. SHOULD YOU CHOOSE TO WITHDRAW FROM THE ARBITRATION PROVISIONS OF THIS AGREEMENT, ALL OTHER PROVISIONS OF THIS AGREEMENT WILL REMAIN IN FULL FORCE AND EFFECT. If there is any dispute arising out of the Website and/or the Service, by using the Website, you expressly agree that any such dispute shall be governed by the laws of the State of California, without regard to its conflict of law provisions. You certify that you have read, accept, and hereby consent to the terms of this Agreement, and your acceptance of these terms constitutes your electronic signature to this Agreement. You agree that you may be sent electronic notices to the email address provided during your registration for the Service. Any notice sent to that email address will be effective once delivered, regardless of whether or not you actually received the notice or choose to read it. This Agreement constitutes the sole agreement between you and MDBerry for your use of the Service, and any further statements or inducements, oral or written, not contained in this Agreement shall not bind either you or MDBerry. Any of the terms of this Agreement which are invalid or unenforceable shall be ineffective to the extent of such invalidity or unenforceability, without rendering invalid or unenforceable any of the remaining terms of this Agreement. Personal invite links should only be used for personal and non-commercial purposes. This means that you can share your invite link with your personal connections via email, Twitter feeds, Facebook pages, personal blogs, etc. where you are the primary content owner. However public distribution on sites where you are a contributor but not the primary content owner (e.g., Wikipedia, coupon websites) is not allowed. Promoting your referral code via Search Engine Marketing (e.g., AdWords/Yahoo/Bing) is also not allowed. MDBerry reserves the right to suspend your account and/or revoke any and all referral credits at any time if we feel they were earned inappropriately. By creating an Account, you agree that the Services may send you informational text (SMS) messages as part of the normal business operation of your use of the Services. You may opt-out of receiving text (SMS) messages from MDBerry at any time by texting the word STOP to from the mobile device receiving the messages. You acknowledge that opting out of receiving text (SMS) messages may impact your use of the Services. I agree to comply with this Agreement, on behalf of myself and on behalf of any other person on whose behalf I am seeking medical care. I understand and agree that if I fail to comply with the terms of the Agreement, I may be prohibited from using the Service, and I will hold MDBerry harmless from any liability arising from my failure to comply. I hereby certify that I am at least 18 years of age and possess the legal right and ability to enter into this Agreement under the name in which I have registered to use the Service. I further certify that I am physically present in a state which MDBerry operates at the time that I am accessing the Service. I understand and acknowledge that my ability to access the Service is conditional upon the abovementioned criteria of my certification of age, legal authority, and physical presence in a state which MDBerry operates at the time that I access the Service, and that the Providers rely upon this certification in order to interact and facilitate health care services with me.